To measure is to know. Extend the lifespan of your batteries with the help of our battery reconditioner and other battery monitoring devices. High-frequency chargers are lighter, more compact and more efficient. These chargers consume less energy, resulting in lower costs in the long term. Try our efficiency calculator to calculate your savings! Our traction battery chargers provide superior reliability and performance for traction batteries of all types, used on any type of vehicle or portable equipment. A built-in charger is ready to charge the battery at any given time. You no longer need to provide an external charger and charging area, which saves you plenty of space and time. In most cases, you simply need to connect the charger to a socket to start charging. Ideal for rental applications. Flat battery? Jump starters are portable devices that allow you to start a vehicle. Jump starters operate similarly to jumper cables, besides, they don't require an additional vehicle to provide power. This saves you a lot of time and effort. Cleaning products, deionised water systems, battery connectors and other devices you might need for your batteries. The Energic Plus® name is synonymous with quality, innovation and durability in power electronics for battery-operated systems. Energic Plus® has a long-lasting and successful worldwide presence in the energy storage and power supply sectors for more than 10 years now. With more than 10 000 happy and returning customers on all continents of the world, we can say that we are one of the leading suppliers of battery charge equipment on today's market. 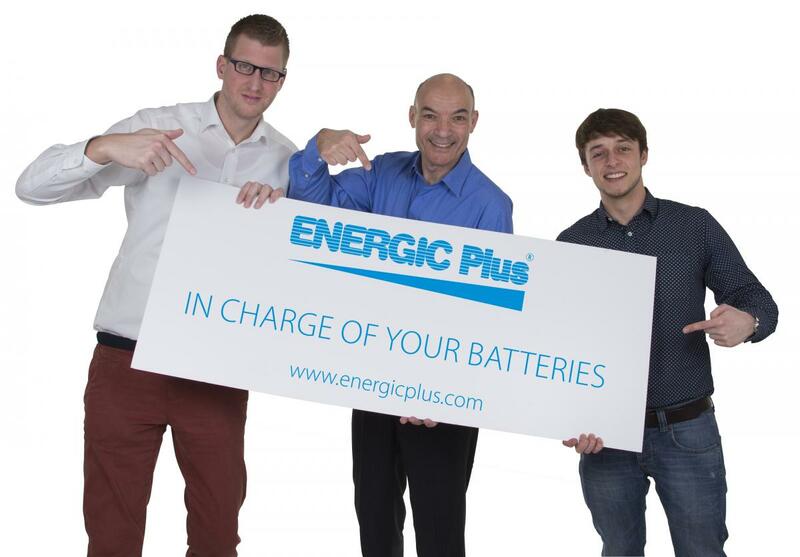 In terms of battery regeneration and diagnostics equipment, Energic Plus® has become the market leader with currently over 500 happy and returning customers! We offer a complete range of professional heavy duty jump starters and industrial battery chargers that provide outstanding reliability and performance with traction batteries of all types (flooded or sealed lead-acid, gel-cell, Ni-Zn), used on any type of vehicle or portable equipment.